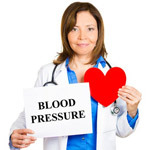 THURSDAY, Dec. 18, 2014 (HealthDay News) -- Being in good shape seems to reduce your risk of high blood pressure, researchers report. They looked at data from more than 57,000 Americans, including more than 35,000 with high blood pressure, who underwent treadmill tests between 1991 and 2009. Those in the poorest shape had a more than 70 percent chance of having high blood pressure at the start of the study, compared to a 50 percent chance for those with high levels of fitness. Of the more than 8,000 people diagnosed with high blood pressure during the study, 49 percent had lower fitness levels and 21 percent had higher fitness levels. People with the highest fitness levels were 20 percent less likely to develop high blood pressure than those with the lowest fitness levels. The link between fitness and high blood pressure was seen regardless of age, gender, race, obesity, resting blood pressure or diabetes, according to the study published recently in the Journal of the American Heart Association. Further research is needed to find out how fitness levels affect high blood pressure risk over time, senior study author Dr. Mouaz Al-Mallah, a cardiologist at the Henry Ford Heart and Vascular Institute in Detroit, said in a journal news release. "If you're exercising and you're fit, your chances of developing hypertension are much less than someone else who has the same characteristics but isn't fit," Al-Mallah said. "Increasing exercise and fitness levels probably protects against many diseases." About one-third of U.S. adults have high blood pressure, according to the American Heart Association.